Spray inside of 3 1/2- to 6-quart slow cooker with cooking spray. Mix all ingredients in cooker. Cover and cook on low heat setting 2 1/2 to 3 hours or until liquid is absorbed. Stir before serving. Serve warm or chilled. To chill, cool about 2 hours, then spoon pudding into container; cover and refrigerate until chilled. 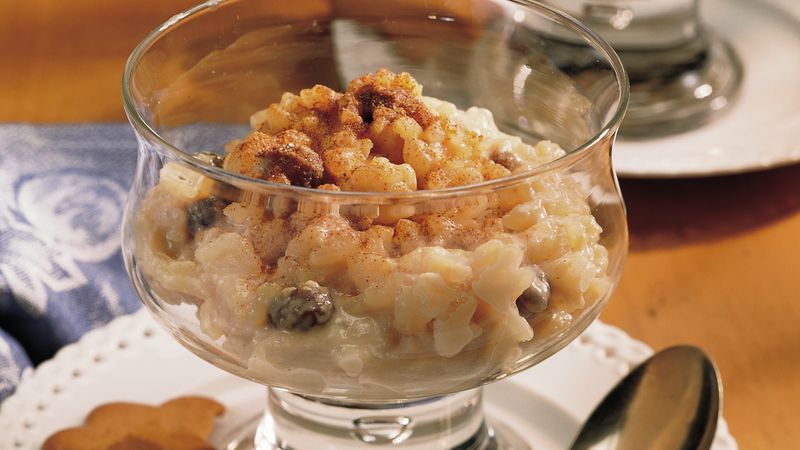 We found that using uncooked rice made a rice pudding that was sticky instead of creamy. To save time at the last minute, cook the rice ahead and keep it in the refrigerator until you are ready to make the pudding.